In the State of California, workers’ compensation law is a no fault system. This means that the benefits will be given to the injured worker regardless of who was at fault. Under the law, employees who have been injured at work need not prove that another person caused their injury in order to get benefits. With over 54 years combined experience, the Shoemaker Law Offices, in San Francisco, California, has helped clients throughout Northern California to secure the workers’ compensation benefits they need following a workplace accident or death of a family member. If you would like to schedule a free consultation with an attorney, call (415) 463-5310, or our Vallejo office at (707)-552-1000, or simply fill out our online form today. We serve clients throughout the Bay Area. 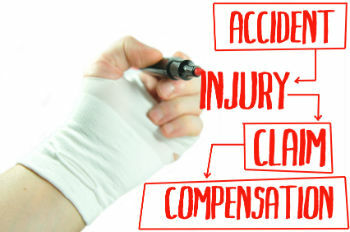 Workers’ compensation, also known as workmans’ comp, is the country’s oldest state-mandated social insurance program. Each state, including California, has it’s own laws and programs for workers’ compensation. Workers’ compensation for federal employees is administrated by the federal government. Employees usually do not have the right to sue their employer in court for damages for their injuries in exchange for workers’ compensation. Cumulative Injury: An injury that occurs over time by repeated exposures or events at work. For example, losing your hearing due to regular exposure to loud noise, hurting your back as a result of repetitive heavy lifting, or carpal tunnel from computer keyboard or mouse use, to name a few. In order to qualify for workers’ compensation benefits for a cumulative injury, it must be proved with evidence from a medical doctor. Specific Injury: A specific injury that was caused by one event at work, such as getting burned by a chemical splashed on your skin, hurting your back in a fall, or injuring your shoulder from a car accident while making deliveries for the employer. Emotional or Psychiatric Injury: The California Workers’ Compensation system recognizes that emotional or psychiatric injuries can be brought about in the workplace. However, it can be difficult to prove, and the worker must meet a higher threshold in order to obtain benefits for emotional or psychiatric injuries as compared to a physical injury. Emotional or psychiatric injuries can result from a specific physical injury on the job that results serious disabilities. Emotional injuries can also arise when the worker is a victim of a violent act, or exposed to a sudden violent act in the workplace. Work Injury Lawyer Scot D. Shoemaker, brings over two decades of experience fighting for hard-working San francisco Bay Area residents. Mr. Shoemaker is one of a select few attorneys recognized as a workers’ compensation certified specialist from the State Bar of California. If you would like to schedule a FREE consultation, call our San Francisco law office at (415) 463-5310, or our Vallejo office at (707)-552-1000, or simply fill out our online form today.